Two militants, five security forces' personnel, including a CRPF officer, and a civilian were killed in a 56-hour encounter in Kupwara district of Jammu and Kashmir, police said on Sunday. A police spokesman said the operation at Babagund area of Kupwara took time as it posed considerable difficulties to the security forces due to the topography of the area. Two militants were killed by security forces in the encounter which began on Friday morning, the police spokesman said here. He said bodies of both the militants were recovered from the site of the encounter and their identities and affiliations are being ascertained. The spokesman said a CRPF jawan identified as Sham Narayan Singh Yadav who was injured in the exchange of fire on Friday, succumbed to injuries on Sunday taking the number of security forces' fatalities to five. Two CRPF personnel, Inspector Pintu and Constable Vinod, and two cops, Selection Grade Constables Naseer Ahmad and Ghulam Mustafa Barah, were killed in the gunfight on Friday, the spokesman said. He said one civilian, Waseem Ahmad Mir, also sustained bullet injury "in the nearby area" and later succumbed at a hospital on Friday. 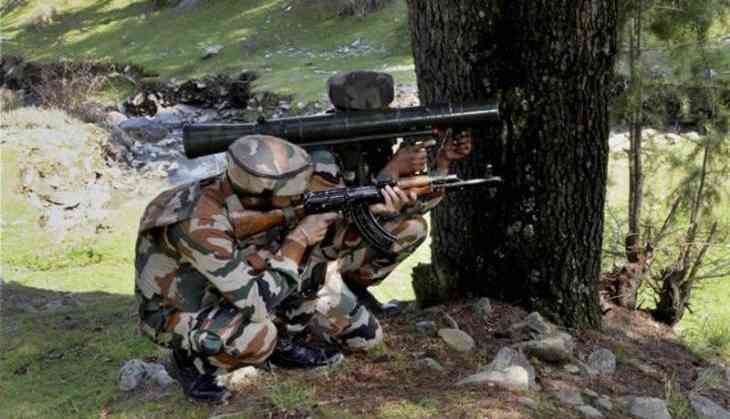 The encounter had begun when security forces launched a search operation in Babagund area in north Kashmir, following information about presence of militants there. "Area where the terrorists were hiding was very congested and civilians in the adjoining houses had to be evacuated to the safer places away from the site of encounter," he said. Police have registered a case in this matter and the incriminating materials have been taken in case records for further investigation, the spokesman added. He urged people to not go near the encounter zone as there could be stray explosives. "People are requested to cooperate with police till the area is completely sanitized and cleared of all the explosives materials if any," the spokesman said.